Cannabis is chock-full of potent compounds – including cannabinoids, flavonoids, and terpenes – which continue to amaze researchers in terms of their remarkable ability to improve health. Cannabidiol (or CBD) has been making especially big splashes in the medical world for its association with the alleviation of various medical symptoms. This non-psychoactive cannabinoid comes in varying concentrations in cannabis plants and has a countering effect to another cannabinoid that’s also found in high concentrations in certain cannabis chemistry varieties: Tetrahydrocannabinol (or THC). Terpenes are also found in all varieties of cannabis, and when they work with CBD and other cannabinoids in the plant, they have a synergistic effect in the body when consumed. While CBD and the terpene profile of the cannabis plant can have positive effects on the body, finding the right dosage plays a key role in achieving optimal results. The question is, how does one go about finding the right dosage? Both cannabidiol (or CBD) and terpenes serve specific purposes and possess some similarities, yet they’re different. Terpenes are actually responsible for giving various cannabis plants their distinct smells. They are fragrant compounds that give each plant its specific odors. Depending on a plant’s terpene profile, a variety could smell like berries, citrus fruit, pine, and many others. But while terpenes are often associated with their scents, they’re also powerful compounds that have extensive medical effects as well. And when combined with cannabinoids like CBD, terpenes can really be potent. The “Entourage Effect” occurs when different terpenes are combined with different cannabinoids. This effect is defined by how various cannabinoids and terpenes work together and interact with the different receptors in the body to create a unique effect. Terpenes can work synergistically when combined with each other to create a more powerful therapeutic effect. The synergistic effect that occurs with the combination of cannabinoids and terpenes has much to do with the endocannabinoid system in the body. This system receives cannabinoids in much the same way that it interacts with the body’s naturally-occurring endocannabinoids. When the body consumes CBD oil, for instance, it binds to specific receptors in the body to foster a certain effect. Similarly, terpenes have their own unique effect. Terpenes are responsible for activating this entourage effect in the body. When terpenes work together with cannabinoids, they can help cannabinoids pass through to the bloodstream more effectively. As such, terpenes improve both their own medical properties and those from cannabinoids as well. Getting familiar with the therapeutic role of terpenes is an important part of buying cannabis products. Not only is CBD an important part of the different varieties of cannabis, but so is the terpene profile when it comes to the medical applications of cannabis. As far as finding the right dosage is concerned, it may be helpful to experiment with various terpene profiles to see which works best. This is best achieved by starting off with identifying the minimum dose required to achieve the desired effects. Thanks to the varying concentrations of CBD and different terpene profiles, cannabis can be a complex plant. What the appropriate dose for one person may be completely different for another individual. As such, it’s best to start off with a low dose and work your way up to find the one that works best. The more you know about cannabinoids and terpene profiles, the better equipped you’ll be to find the right variety and dosage and help you achieve whatever effects you’re aiming for. 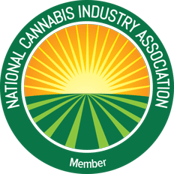 This entry was posted in Cannabis Industry, Cannabis Topics and tagged cannabis dosing, cbd dosing, consuming cannabis, consuming marijuana, marijuana dosing.